On my recent trip to Europe, I’m pretty sure I ate 12 baguettes in 12 days. Not to mention all the other deliciousness I ate like crepes, pastries, stroopwafels, and cheese. After that whirlwind of eating, I’m back in the USA, and just in time for Memorial Day. And, I’ve resumed my old eating habits – lots of fresh vegetables, seafood, and whole grains. OK, we did have pizza the other night, but you gotta give me a break, we were pretending we were still on vacation. With Memorial Day this weekend, and my return to a more wholesome diet, I decided to buy an extra large salmon fillet and use the leftovers to make salmon salad. 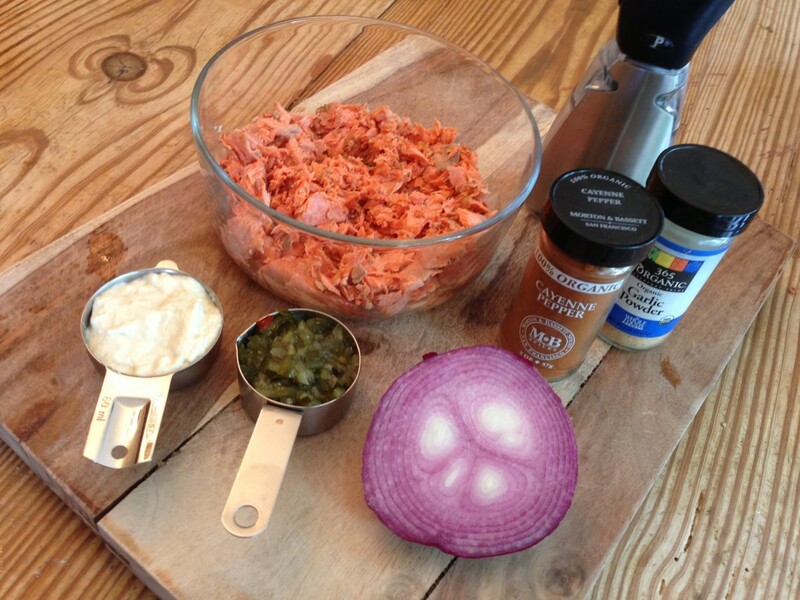 Have you ever made salmon salad? It’s just like tuna salad, but with fresh leftover salmon. For some reason, it never occurred to me to use leftover salmon for salad until a couple of years ago when friends came home from Alaska raving about the salmon salad they had at a tent camp where they stayed. We were supposed to be on that Alaska trip too, but my mother almost died. We were well on our way to our Alaskan adventure by having made it all the way to Vancouver, British Columbia and then one of those dreaded, middle of the night, it’s got to be an emergency phone calls woke me out of a deep vacationland sleep. It was my dad holding back tears telling me my mother was on a ventilator. She’d been sick with emphysema for years. Thankfully my mother survived that brush with death and lived for another couple of years. But, to be honest, I was really bummed I didn’t get to go to Alaska. Salmon salad is a nice alternative to tuna salad. Not that there is anything wrong with tuna salad – I eat it almost everyday for lunch. 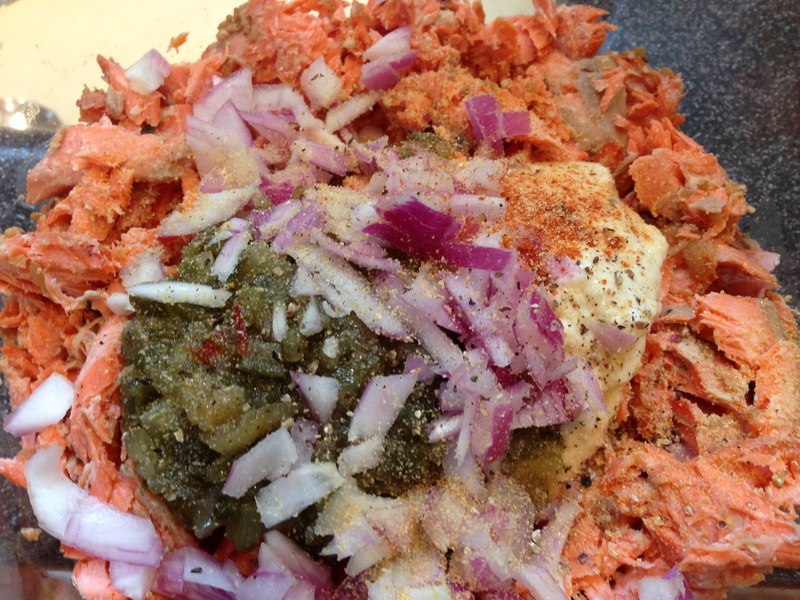 But, it’s nice to shake things up a little, and I love the color of the salmon salad. 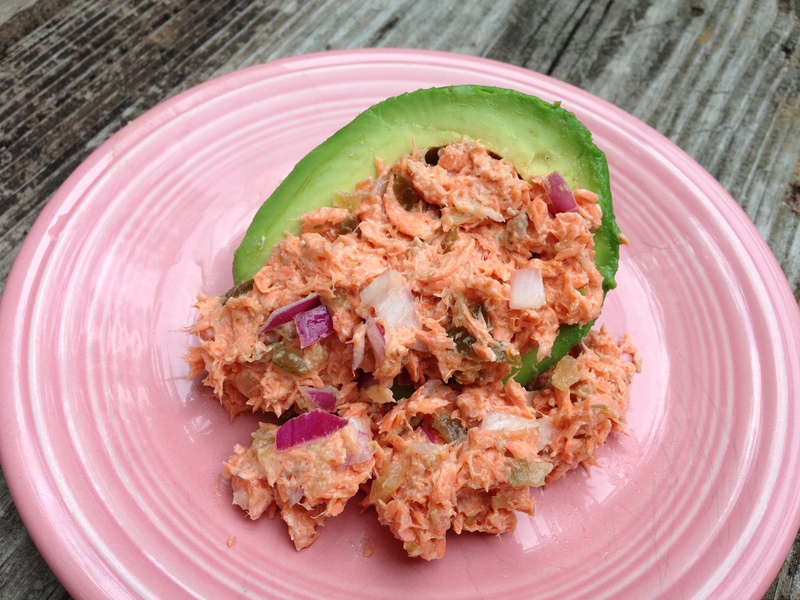 Especially when I put it on top of a fresh avocado – the pow of that pink and bright green is beautiful. It is. See. Makes me want to paint a room with those colors. 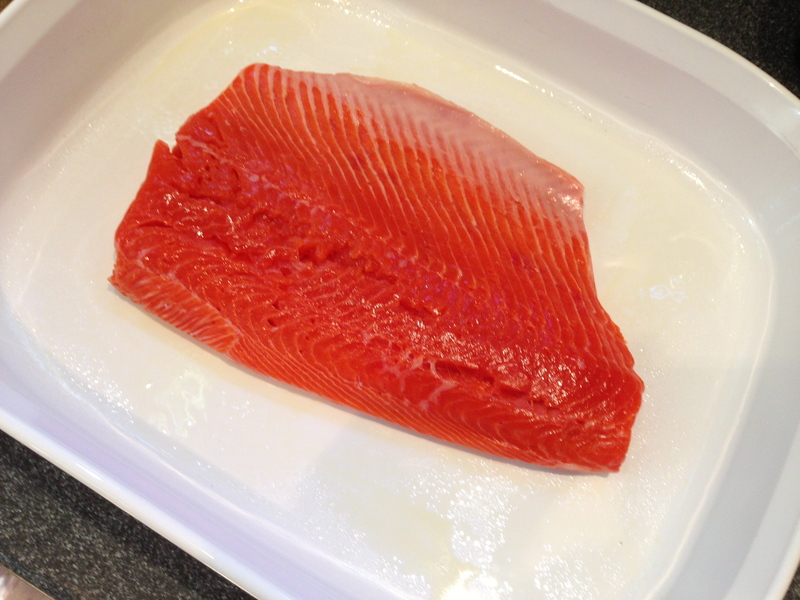 The Whole Foods in my neighborhood has fresh, wild Copper River sockeye salmon (Speaking of Alaska) on sale right now, and it is beautiful. 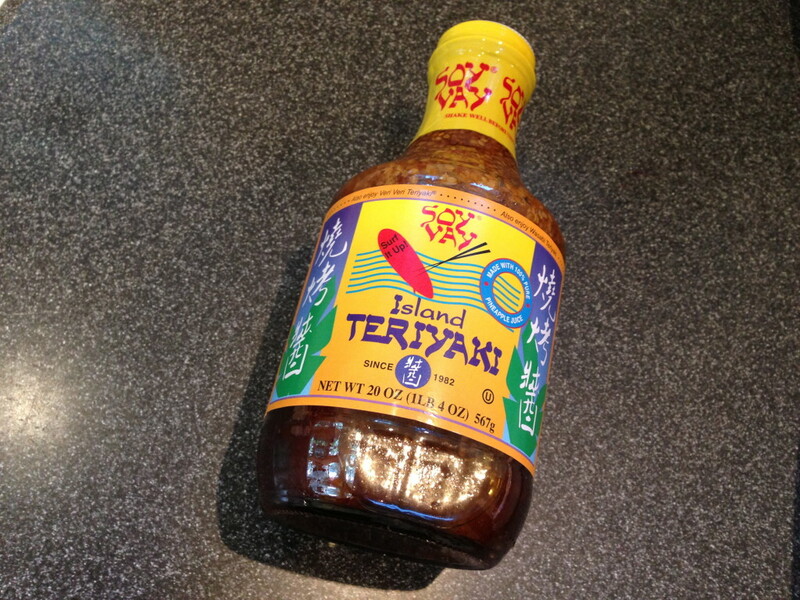 I bought just over a pound and served it for dinner marinated and oven baked in my favorite store bought marinade. What store bought marinade? I didn’t have time to make a marinade myself and this one is fantastic. I promise you’ll like it- go ahead, give it a try. There was a lot of salmon left over just begging to be turned into a salad for all that picnicking we’re going to do this weekend. This salad can go to a backyard bar-b-que, to the park, or to the pool. It can be served on bread, rolls, and yep, even a baguette. Did someone say baguette? I like to eat it on crackers best. 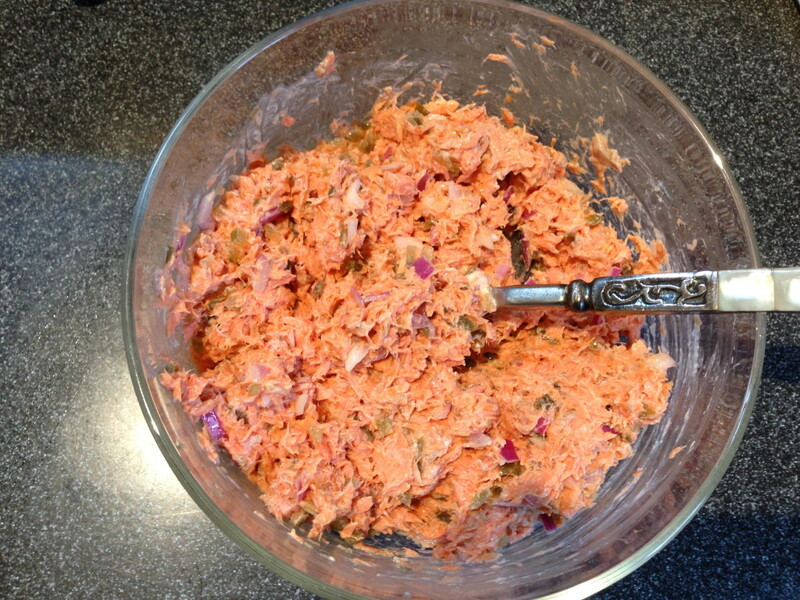 No matter what you do with salmon salad, I’m sure it will please the Memorial Day crowd at your gathering. Happy picnicking! Put all of the ingredients into a bowl and mix until combined. Makes enough for approximately 4 sandwiches. 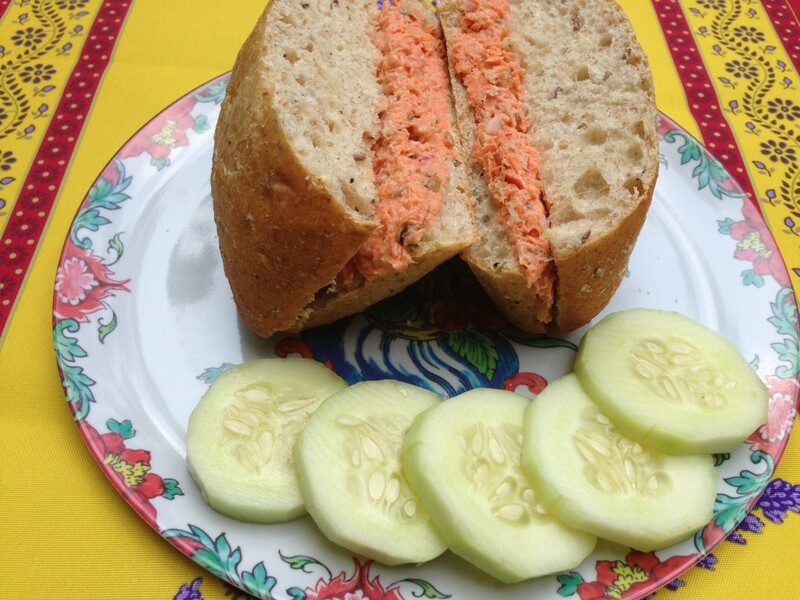 This entry was posted in Celebrating, Fish, Main Dishes, Quick & Easy, Recipes, Sandwiches & Wraps, Seafood, Uncategorized and tagged Easy & Quick, Left Overs, Memorial Day, picnic, Salmon, Sandwiches, Wild Caught. Bookmark the permalink. 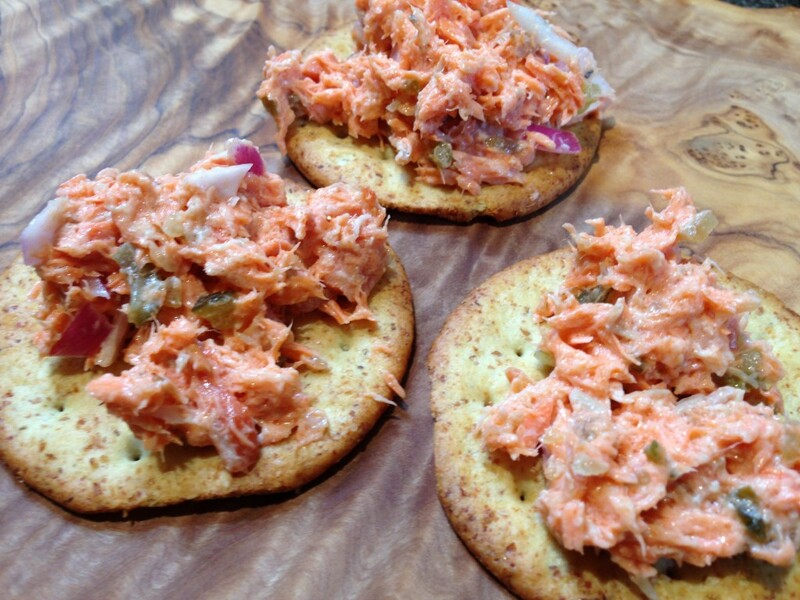 This salmon salad looks very good….Yum, I love Salmon.